Home/You just landed a new Mazda. You just landed a new Mazda. CorkSport is your one-stop shop to make sure you look, sound and feel as good as you deserve in your new ride. Use the resources below to get started building your own Mazda. The book is your step-by-step guide on how to build the Mazda of your dreams — and it’s our free gift to new Mazda owners. Simply send your receipt and mailing address* to Sales@corksport.com, and we’ll take care of you. No strings attached. 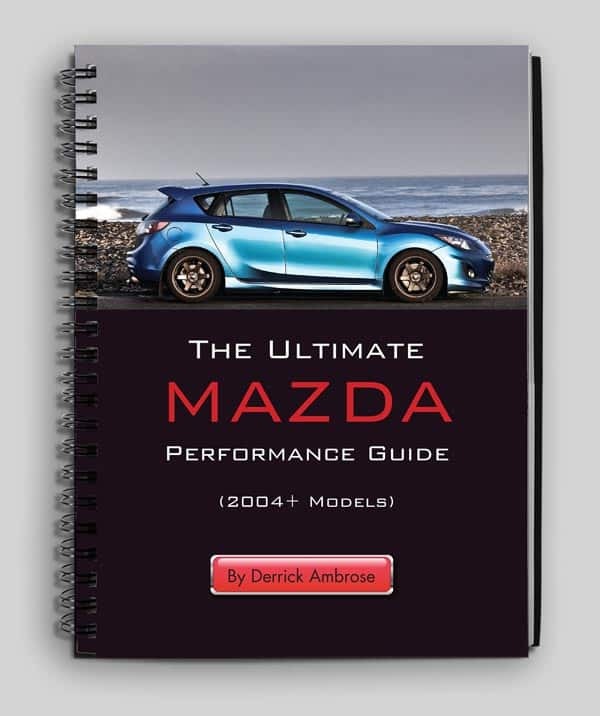 If you purchased your Mazda more than 30 days ago, fear not: You can still purchase the guide here or on Amazon. You’re not only buying the very best in Mazda performance when you buy from CorkSport, you’re also earning points toward future purchases. The short of it is this: For every purchase you make, you earn 5% back toward future purchases. Every point is worth $1. We love our customers and appreciate you doing business with us. Visit our CorkSport Rewards program. View our FAQ to have your questions answered fast. For customer service or Mazda warranty inquiries, please fill out this form. We’ll get back to you quickly. *Free book and shipping is offered in the USA only. International customers can receive a free book with their first order.